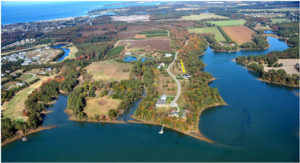 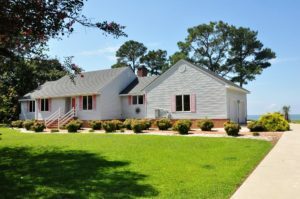 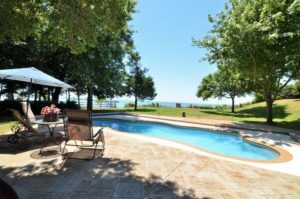 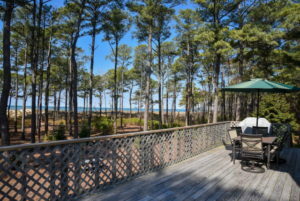 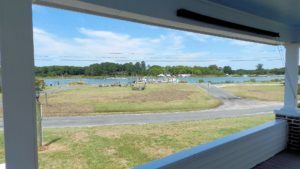 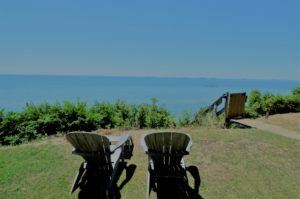 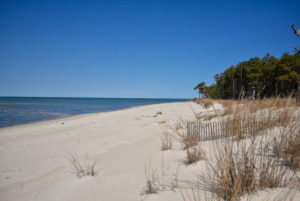 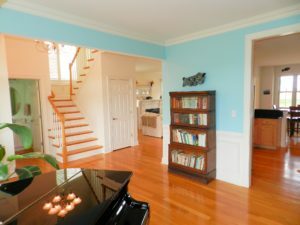 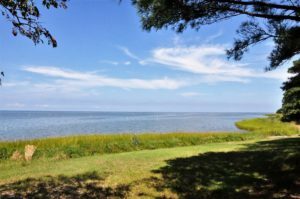 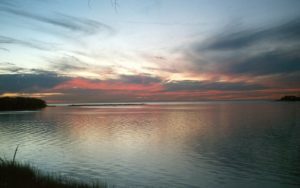 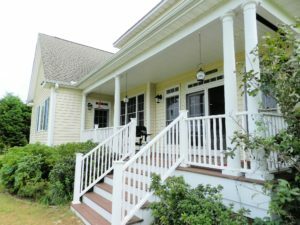 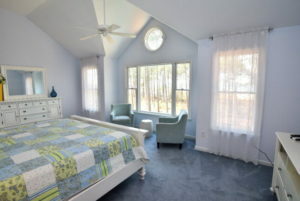 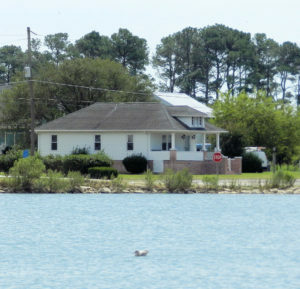 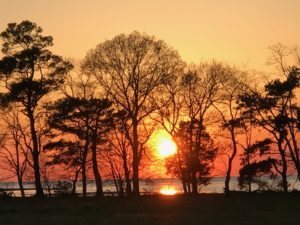 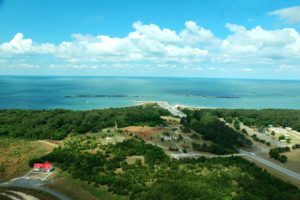 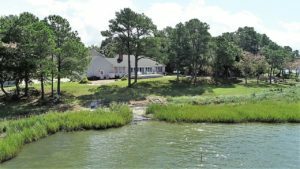 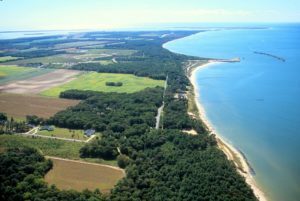 On A Bluff Overlooking Beach & Bay–Your Perfect Beach Retreat On Virginia’s Eastern Shore. 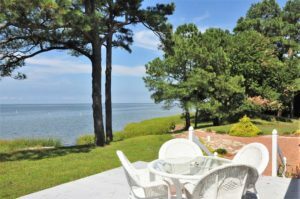 Endless views of glistening blue waters from this lovely Coastal Living style beachfront home towering high above the Chesapeake Bay. 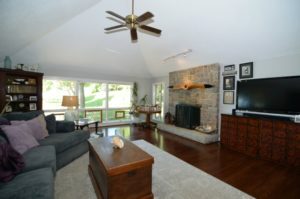 Open floor plan with large great room with vaulted ceilings, an impressive wall of windows, bringing the outside in, topped off with a warm and cozy stone fireplace. 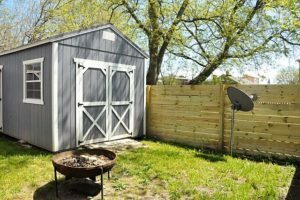 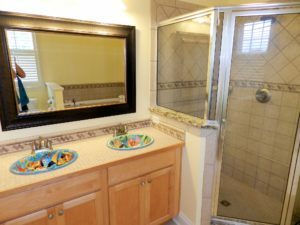 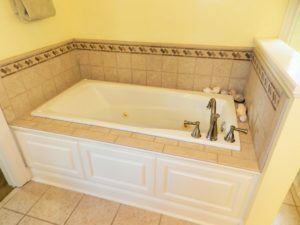 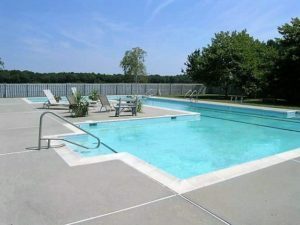 Large fenced in back yard for your furry friends to frolic and a self-cleaning heated pool for your fun in the sun. 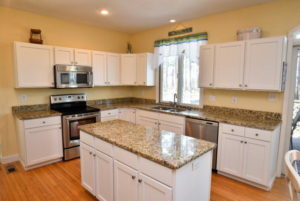 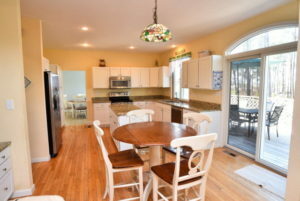 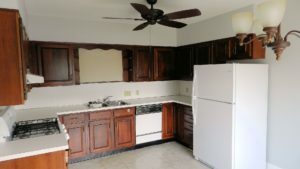 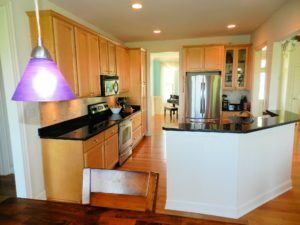 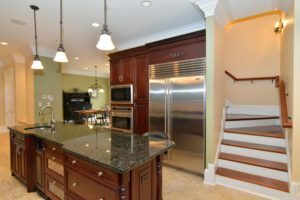 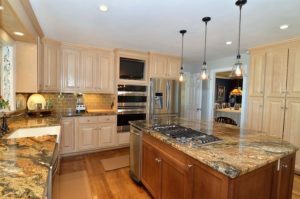 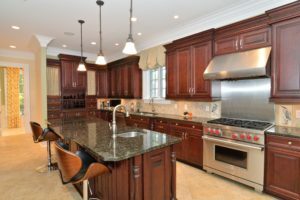 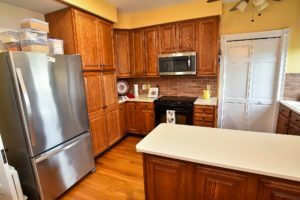 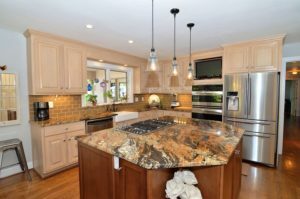 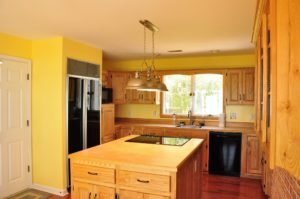 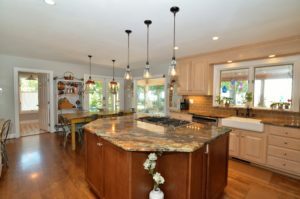 Gorgeous kitchen with granite counter-tops and large center island will please even the most discerning chefs. 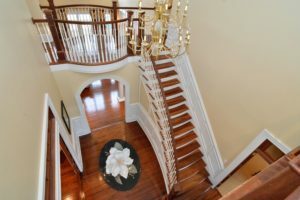 Lots of gorgeous detail work throughout! 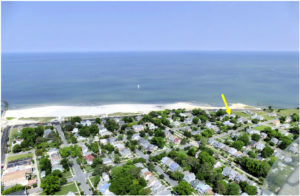 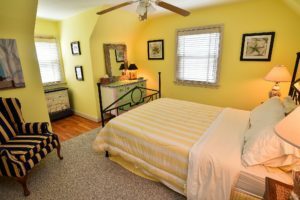 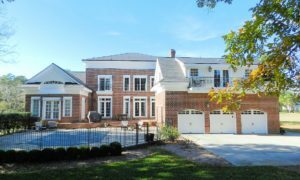 Close to historic Cape Charles and just minutes to the Chesapeake Bay Bridge Tunnel offering easy access to metropolitan amenities. 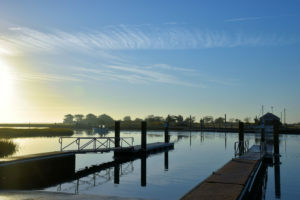 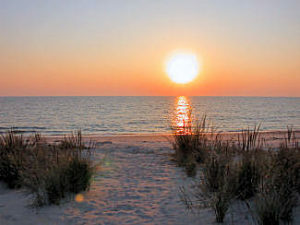 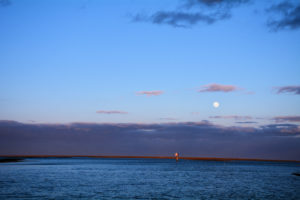 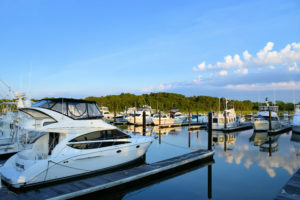 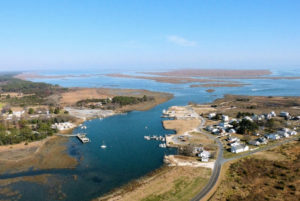 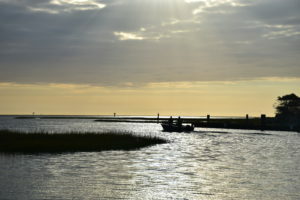 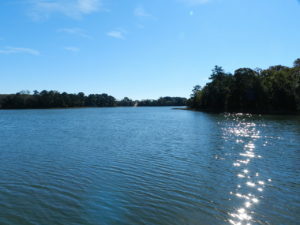 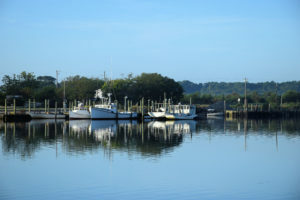 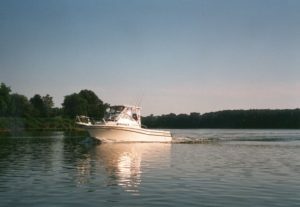 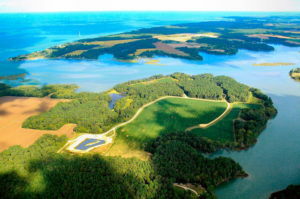 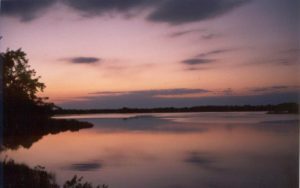 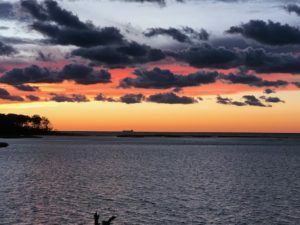 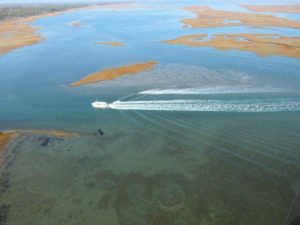 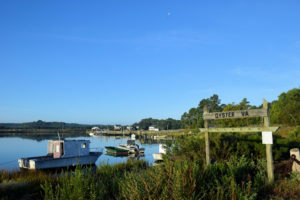 Launch your boat at Kiptopeke State Park & enjoy some of the best fishing on the East Coast. 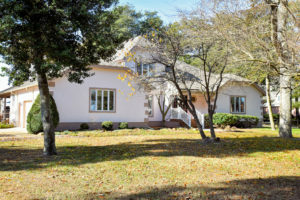 Offered at $995,000. 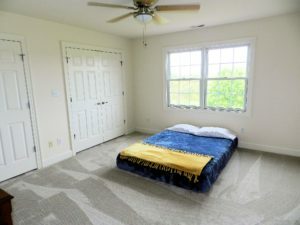 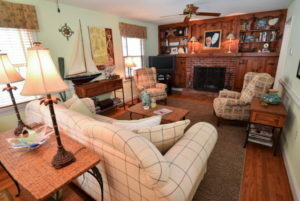 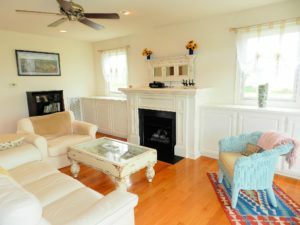 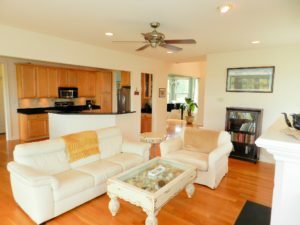 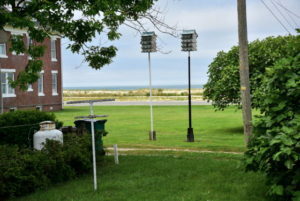 This cozy 2 bedroom, 1 1/2 bath Turnkey Treasure sits just a half block off the Beach, with water-views of the Chesapeake Bay! 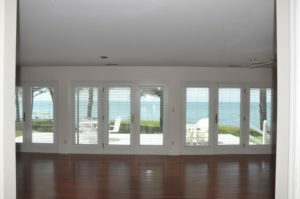 This great beach home offers a very functional floor plan. 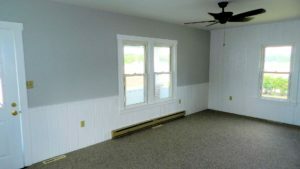 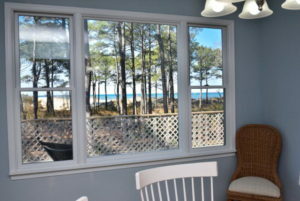 Priced at $319,000, it’s a perfect small family getaway with great vacation rental potential. 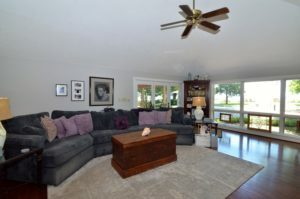 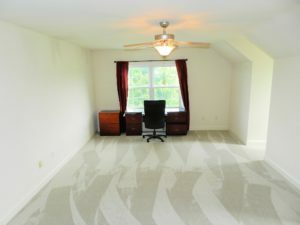 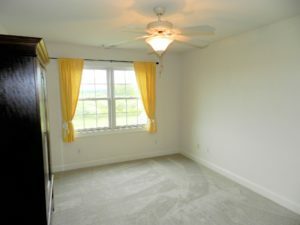 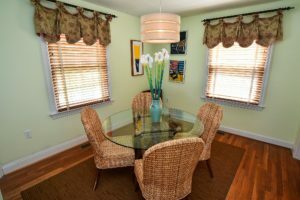 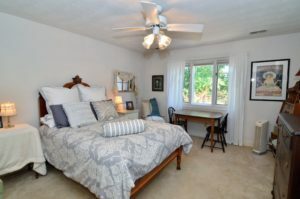 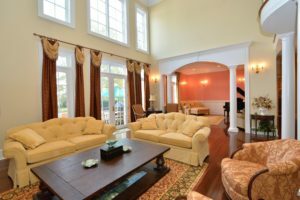 A comfortable open floor plan, the dining area and relaxing living room would please any guest. 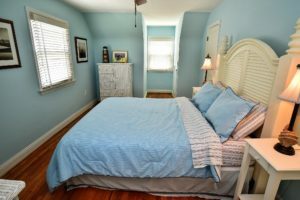 Very nicely sized bedrooms for the Historic District. 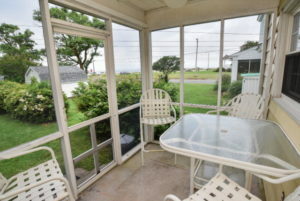 Screened -in porch, back yard with westerly sunset views. 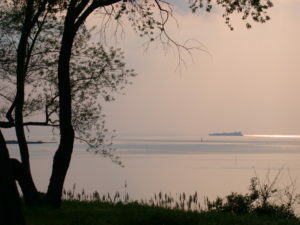 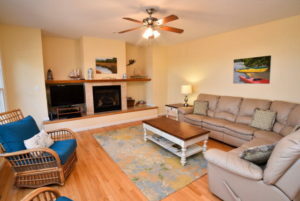 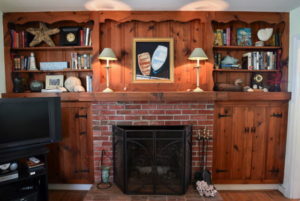 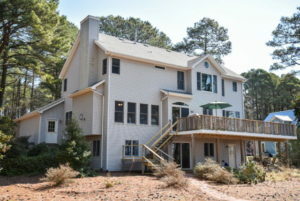 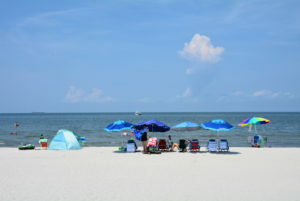 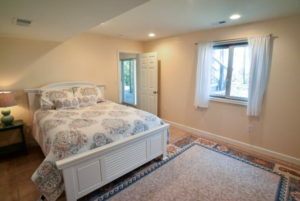 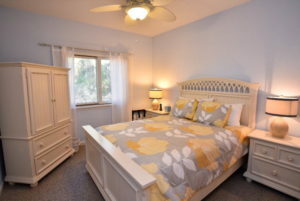 A terrific location only a 1/2 block off the soft sand Town beach. 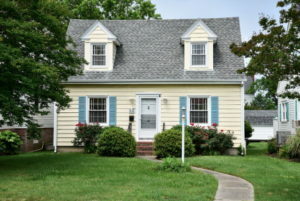 Lots of curb appeal and the tree lined street just adds to all the charm. 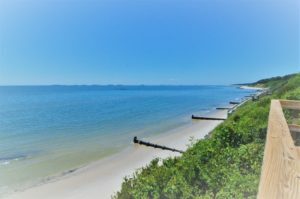 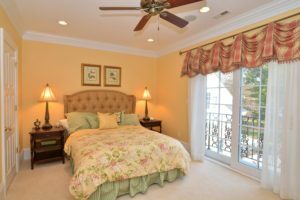 Fantastic beach living in one of the coolest historic towns on the East Coast, offering Palmer & Nicklaus golf, marinas, art galleries, restaurants, theater and shops. 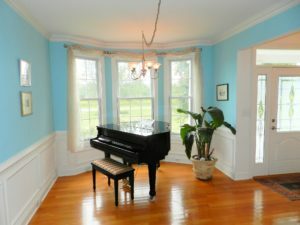 Don’t wait, Schedule your appointment while this little Gem is still available. 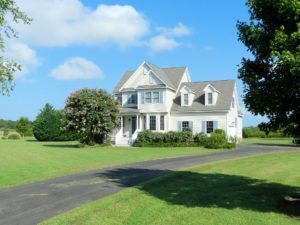 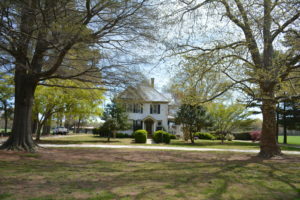 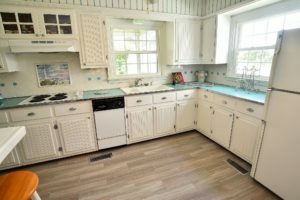 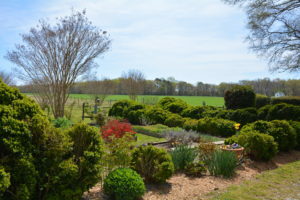 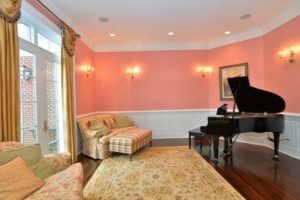 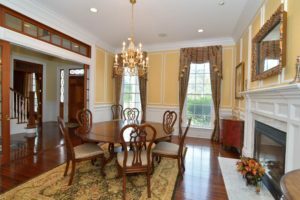 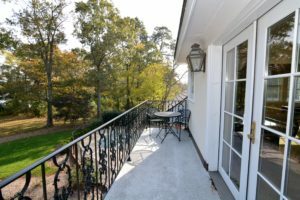 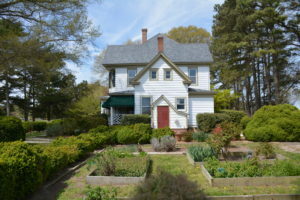 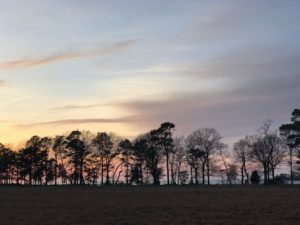 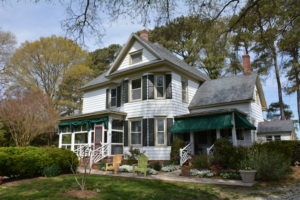 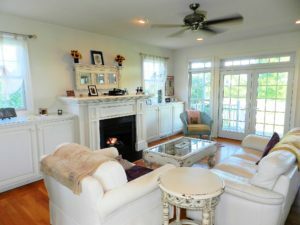 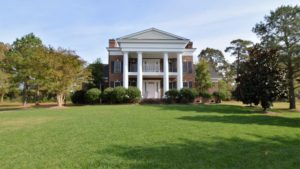 Located in a peaceful, natural setting near Cape Charles, VA, and surrounded by 38 acres of open areas and woodlands, this 4 bedroom, 2 bath Victorian style home circa 1935 is beautifully landscaped with mature hardwoods, large boxwoods and a small formal garden. 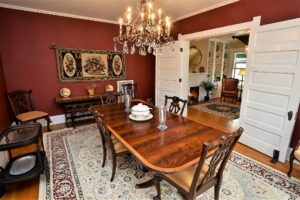 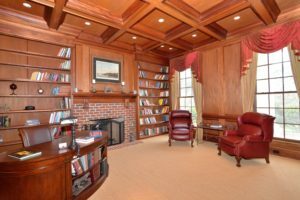 Priced at $599,000 and offering total 1st floor living, the interior architectural detail work is quite intricate, rooms are large with high ceilings. 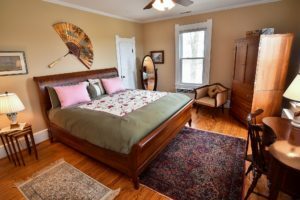 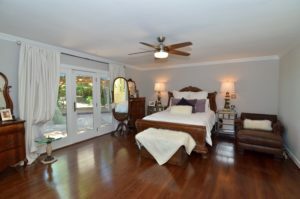 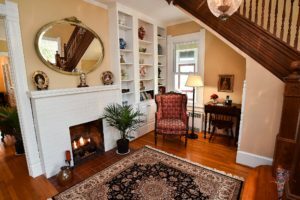 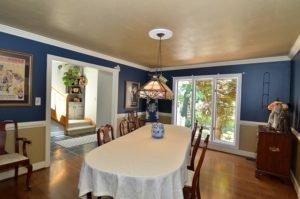 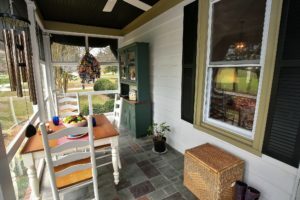 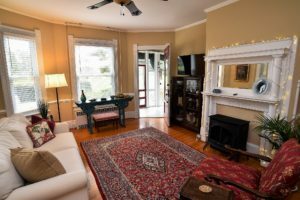 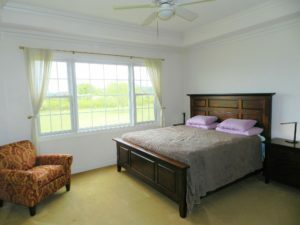 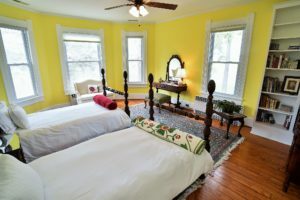 Beautifully preserved hardwood floors this home has been lovingly cared for and maintained. 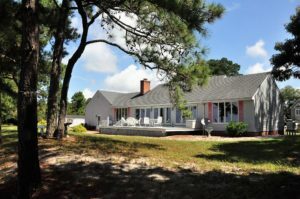 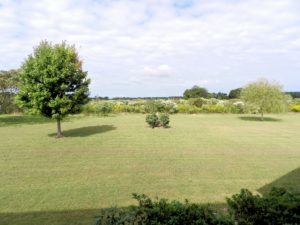 Includes 2 small guest cottages, detached garage, a 3 stall barn and 5 acres of fenced pasturelands. 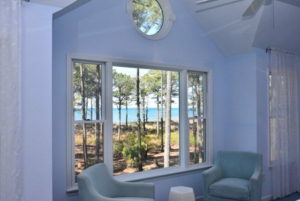 Great place to embrace your Inner Equestrian and live life in the Shore’s relaxed coastal ambiance. 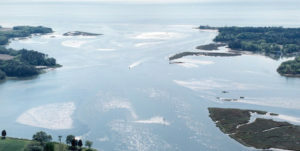 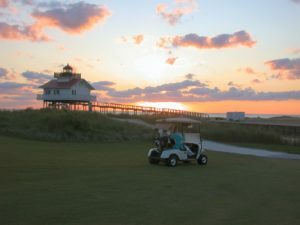 Only a short drive to beaches, marinas, boat ramps and Palmer & Nicklaus Signature golf. 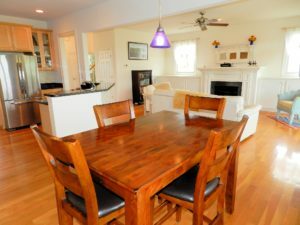 Call for your appointment to see this wonderful property.